A last-gasp goal from Alex D'Acol gave Hamilton a 1-0 win over nine-man St Johnstone after Saints had two players sent off for brawling with each other at the SuperSeal stadium. When referee Don Robertson's whistle sounded to end a nondescript first half, there were gasps of disbelief as Saints midfielder Danny Swanson and defender Richard Foster grappled. Players, management, and officials all got involved and the scenes of chaos ended with both players red carded inside at the interval. 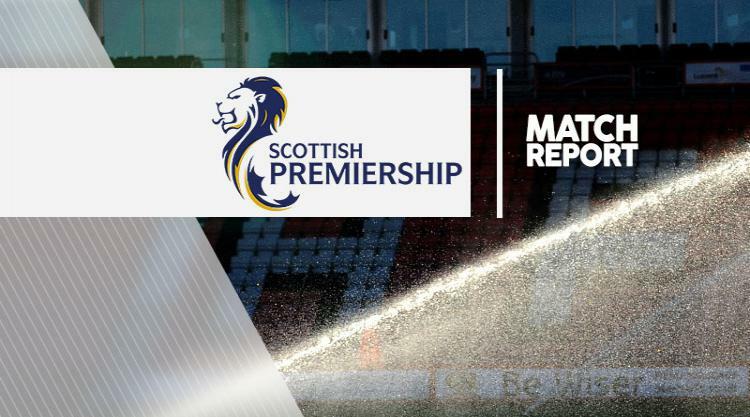 The Perth side were two men short for the second half but it looked like they would hold out for the point until D'Acol fired in a 90th-minute winner to take the home side off the bottom of the Ladbrokes Premiership table, two points above Inverness. There was no sign of the controversy to come as the game got off to a quiet start. In the fourth minute Saints keeper Alan Mannus, who had replaced Zander Clark, parried a powerful drive from Accies midfielder Greg Docherty. Both sides soon became mired in pinball football, with possession surrendered as quickly as it was gained. Hamilton midfielder Ali Crawford and striker Rakish Bingham drove over the bar from outside the box as the Lanarkshire men took a measure of control, but the clear-cut chance they pursued remained absent. A minute from the interval the ball fell kindly to Bingham following a corner but he slashed his shot from 12 yards high over the bar to the groans of the home fans. But that all paled into insignificance when the half-time whistle sounded and Foster and Swanson set about each other, with punches and kicks thrown and an ensuing rammy which saw Crawford booked and Accies assistant Guillaume Beuzelin sent from the technical area. Both Saints players were told to stay inside by Robertson and the visitors started the second half two men short, with 19-year-old defender Clive Smith replacing Blair Alston to make his debut following his loan move from Preston. As expected, the home side took control and Bingham missed the ball in front of goal as Accies pressed. Mannus saved a long-distance effort from captain Michael Devlin, who had been involved in a verbal spat with Accies winger Dougie Imrie at the start of the second half. St Johnstone were looking to hold out for the draw and it became a game of attack versus defence. Tommy Wright's men were getting their heads to the numerous crosses which were thrown into their box, and as the second half progressed the attempts on goal deteriorated as the anxiety increased. Crawford did draw a good save from Mannus with a blistering drive in the 85th minute and it looked like the Perth side would leave with a point. However, Accies eventually got the breakthrough when D'Acol, inside the packed St Johnstone box, rifled in for a morale-boosting win, although the fall-out will focus on the startling altercation between Swanson and Foster.